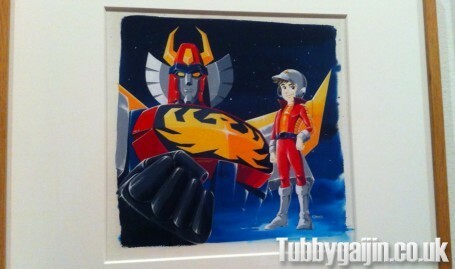 Last week, I headed over to Kobe to check out an exhibition dedicated to the work of an anime legend. Born in 1947, Kunio Okawara has spent the last 40 years in mechanical design, which has seen him become one of the most influential designers in the Japanese anime industry. If you’re an anime fan, you’ll no doubt be familiar with his body of work which includes Daitarn 3, Armored Trooper Votoms and Mobile Suit Gundam. An ad outside the museum promoting the “Zeonic Toyota” – I love how they’re actually putting it forward as a collaboration between the Principality of Zeon and Toyota 🙂 Sadly, the car wasn’t there when I visited, although it’s definitely been there in the past. 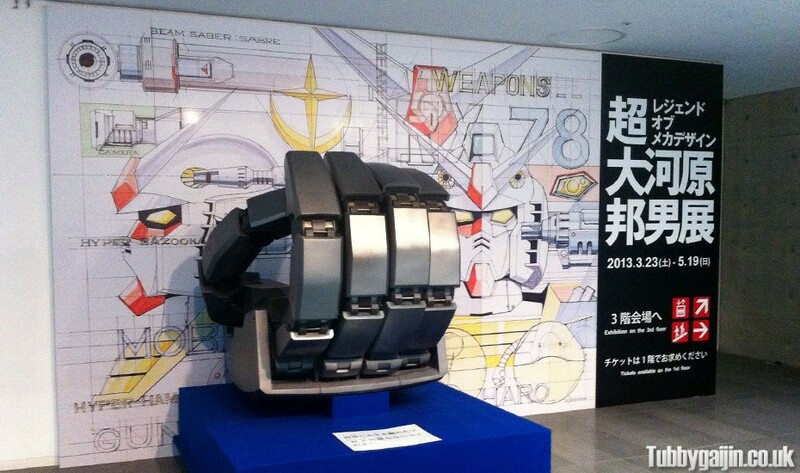 I headed inside, grabbed my ticket and spotter this full-size Gundam hand in the museum foyer! 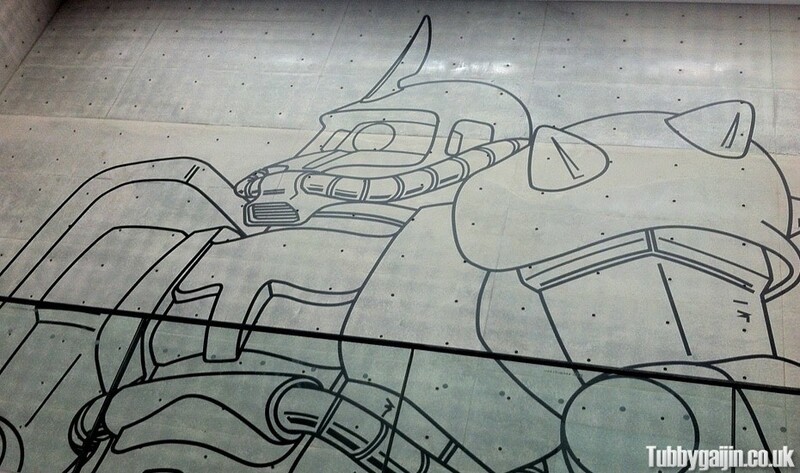 The stairwell leading up to the exhibition sported this gigantic Zaku II lineart – could well have been 1/1 scale! 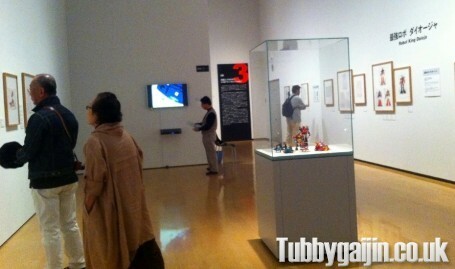 The exhibition was split up into a number of sections, each covering Okawara’s work on a specific series or art style. You weren’t supposed to take pictures, but I did grab a few. My personal highlight was obviously the Gundam section! 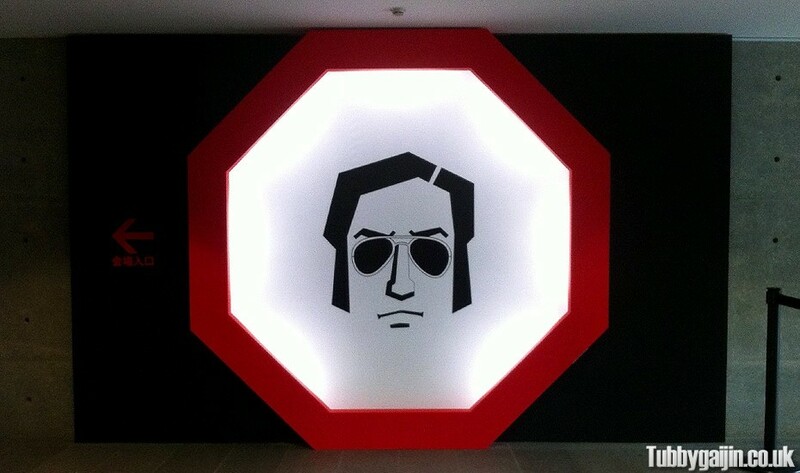 It was a real privilege to see these designs in person as they’re usually locked away from public view. 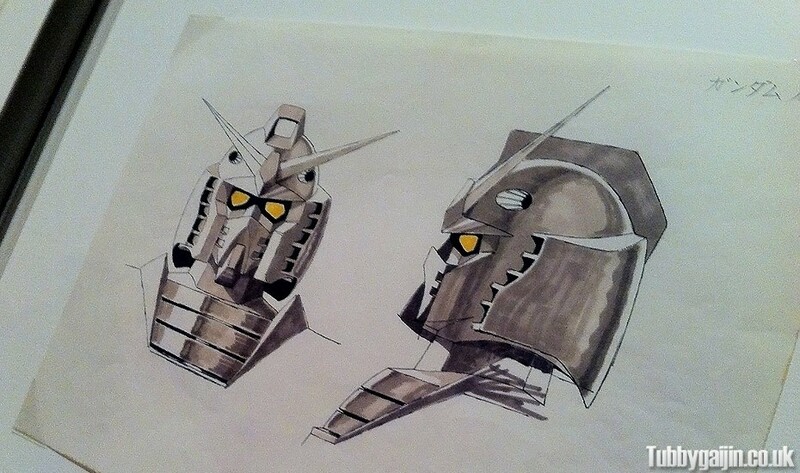 As well as the familiar designs which appeared in the series, a lot of the early concept art was on show too, including the original Gundam and Zaku designs. 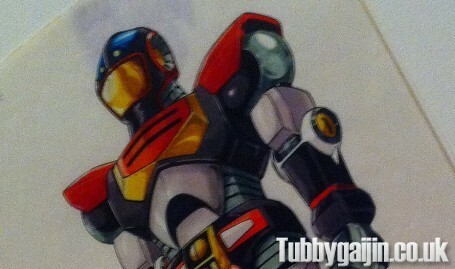 I spent a good while studying these, constantly impressed by the quality and detail. A(literally) big surprise for me was the full-size Votom statue! 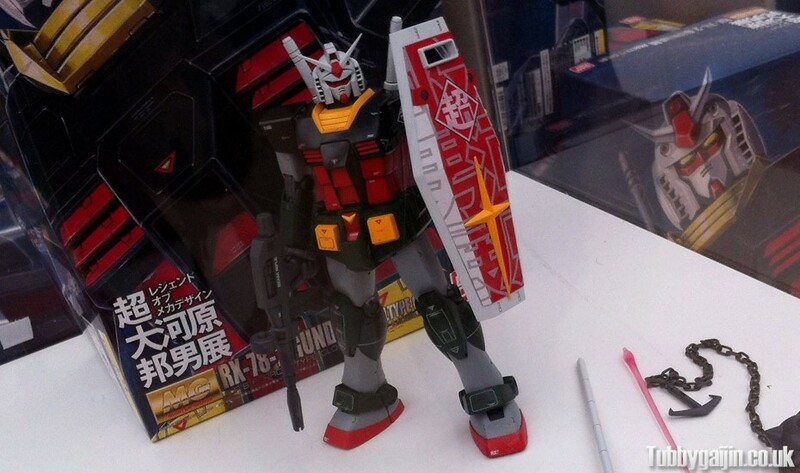 Exiting through the gift shop, I spied plenty of great items, including this Kunio Okawara MG RX-78 V2.0 Special. nice, but a little expensive for me! 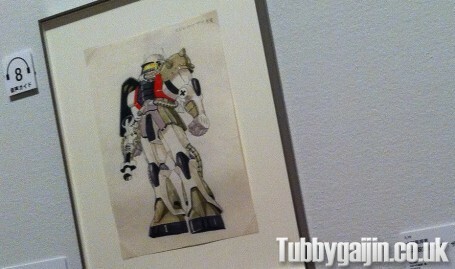 I did buy a postcard sized print of one of the Gundam technical drawings though. 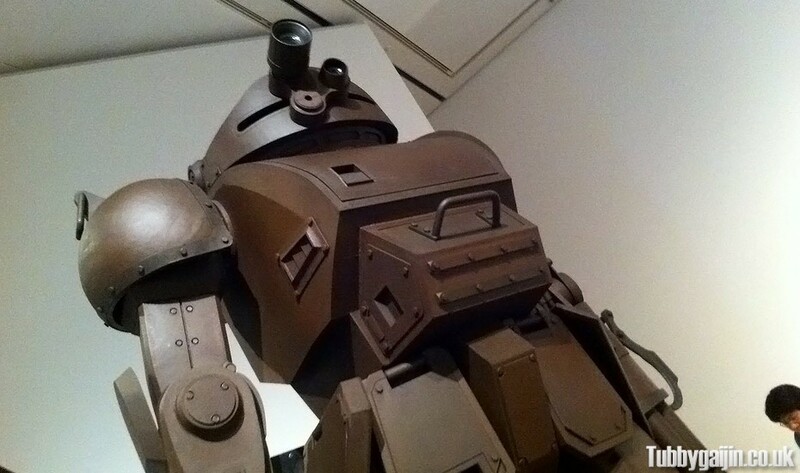 You won’t regret visiting this exhibition if you’re a fan of mecha anime. The Kunio Okawara “Legend of Mechanical Design” Exhibition is being held at Hyogo Prefectural Museum of Art until May 19th, 2013. Entry is ¥1300, plus there’s a Japanese audio guide available for an extra ¥500. 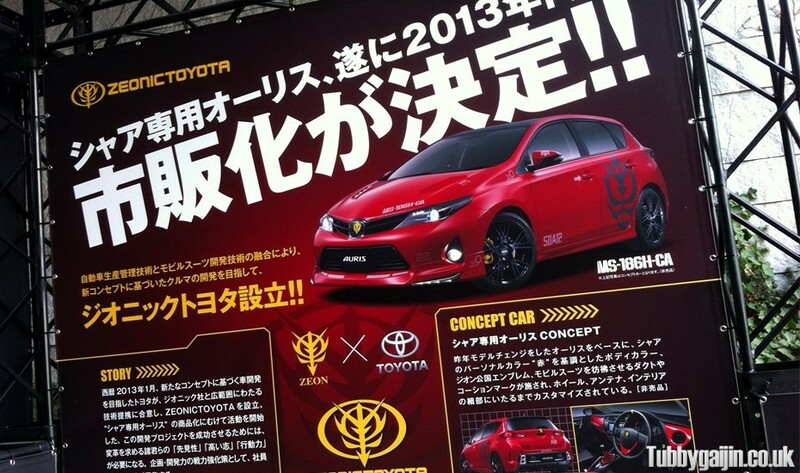 The Zeon Auris looks cool, I saw it a while back but didn’t realise it was this guy.